We’ve been trying to get back into the habit of having seafood dinners a few times a week, both as a way to reduce our meat consumption and to increase our intake of the beneficial oils and fatty acids fish contain. Much as with our other sources of protein, I try to make the best choices possible when buying seafood, choosing types which are local when possible, which are sustainable, and which are low in toxins. I love adding anchovies to sauces and I have come to love them on their own as well. This is a good thing since they’re not only tasty, but they fit my criteria for the type of fish we want to eat often. Halibut is another favorite, and the wild Alaskan halibut we buy via FreshDirect is Certified Sustainable – it’s far from local, but I can feel okay about buying it when we don’t have much available that is. In looking for inspiration when planning our meals for the week, I turned again to Sunday Suppers at Lucques, and when I saw the recipe for winter vegetables with bagna cauda I immediately noted it in my little cooking planner. This meal was actually meant to be our Sunday supper this week, but as you know I neglected to thaw the halibut in time. We bumped it to Monday night, and let me tell you it was totally worth the wait. Since I had cut and blanched all of the vegetables Sunday night, this was ready in just minutes – perfect for a quick and satisfying weeknight meal. There are probably hundreds of recipes out there for bagna cauda; I used Suzanne Goin’s recipe for inspiration but tinkered around with my own proportions. While I think it could have used a bit more anchovy and garlic, it was so good Mike and I both finished our heaping helping of “bathed” veggies before either of us finished our halibut. 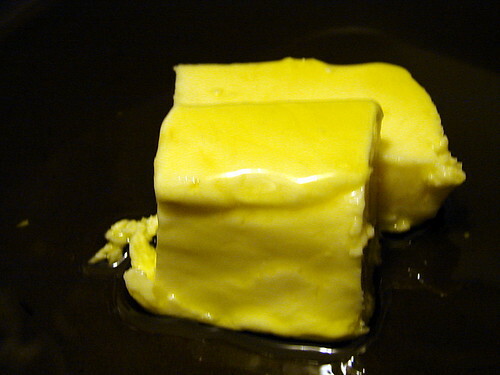 Melt the butter in the olive oil in a saucepan, stirring well. Add the anchovies and stir until they dissolve. Add the chile flakes, garlic, lemon zest and thyme and cook just a minute, until the garlic is fragrant and golden. Taste and add a pinch of salt if necessary. This is traditionally served as a dip with blanched vegetables, but I tossed a mixture of raw endive and radicchio and blanched cauliflower, broccoli florets, radishes, carrots and fennel with small amount of the bagna cauda and spooned a bit more onto my sautéed halibut filets, finishing both with a squeeze of fresh lemon juice. Jen – that butter is such a beautiful bright yellow. Where’d you get it? 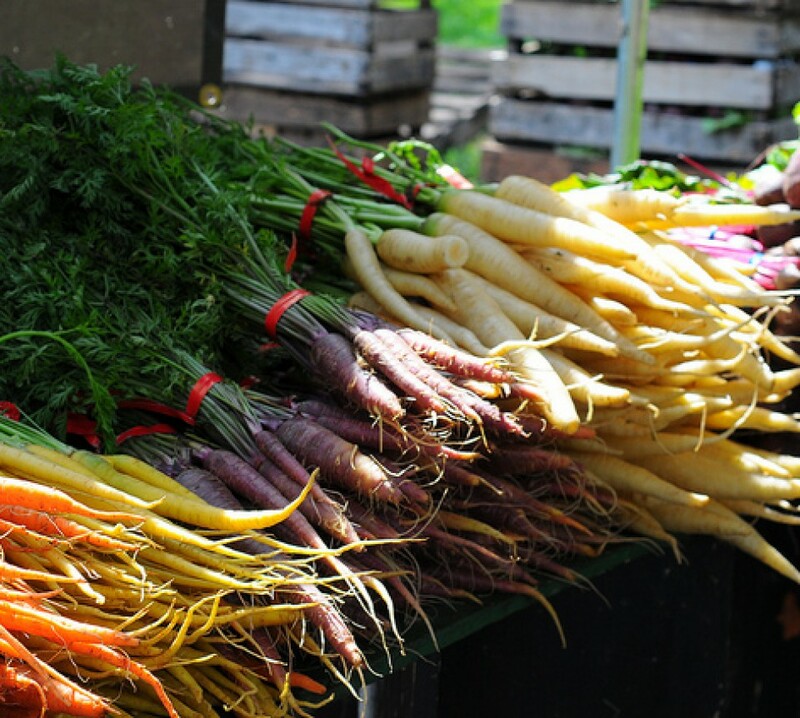 Your combinations of vegetables are just beautiful! I love your selection ! They just pop on your nice clean stove! Love the fennel too! We should all eat more fennel! I’m having some of the leftover veg today for lunch, along with leftover broccoli soup that Jen hasn’t even told you about yet! That looks fabulous. The colors are so fresh and vivid, not to mention extremely inviting. And, daaaaamn…how clean is your over girl? Mine is pathetic in comparison. How can I get mine that white? White On Rice Couple – Thank you! I’m a big fan of fennel. dietsch – I’m so glad you’re enjoying the leftover veggies at lunch, sweetie. BB – Ha ha! My big secret is Method cucumber cleaning spray, and a little baking soda + water paste for those burnt-on greasy spots. 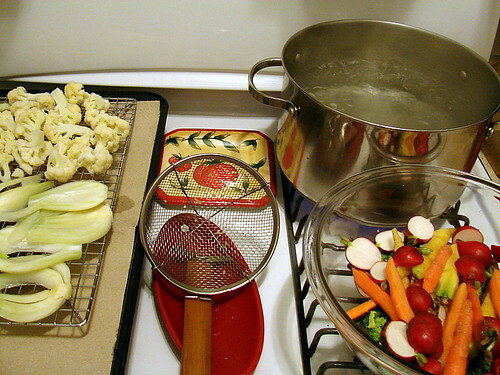 I love the idea of using a bagna cauda as a sauce for vegetables. Also, I’ve been wanting to get Sunday Suppers for ages. I want to smear that gorgeous butter on a plain baguette and eat it for breakfast, lunch and dinner every day. Michelle – I highly recommend Sunday Suppers. It’s a beautiful book and has been so inspiring to me. In fact, I’m taking inspiration for tonight’s dinner from it as well! That is possibly my favorite cookbook, but I’ve not yet tried that recipe. But now I want to. 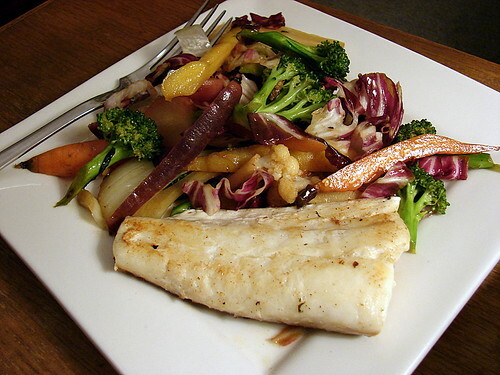 I love the idea of all those veggies served with the halibut. I too am trying to eat more fish. This looks like a great way to do it. Thanks! Grant – I’m completely smitten with this cookbook, and so is Mike. And we actually haven’t delved too deeply into it – we’re trying to wait and explore each section as the seasons change.